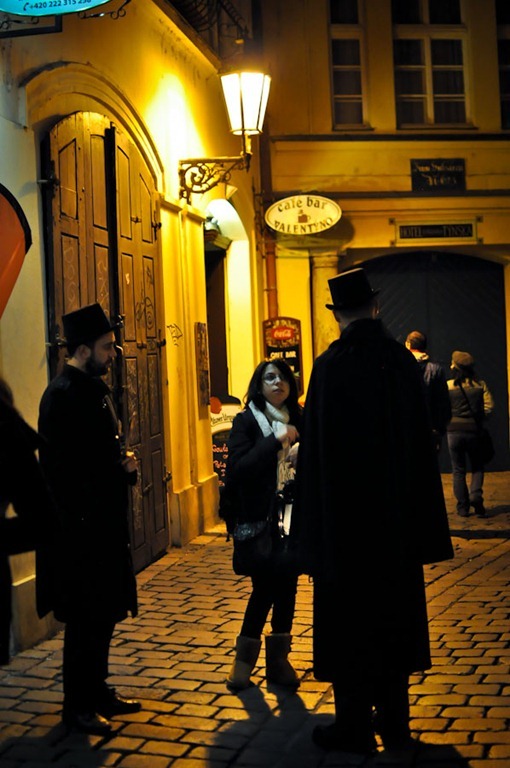 Of tales and legends, a different kind of night on the town. I’m the biggest scaredy cat when it comes to the supernatural stuff. I can’t even watch movies with suspense background music, that’s how big of a chicken I am. And yet, it’s hard not to be interested in that sort of stuff, right? The unexplained. Gerard laughs when I watch shows like Ghost Adventures with the light on. Why watch it if you’re scared, he says. I think I’m more intrigued by the legends and history behind the ghostly tales rather than the actual “ghost” sightings themselves. That isn’t to say I don’t get chills hearing them talk about E.V.P. and orbs and such. So when I found out Prague had a ghost tour, I knew I was gamed for a stroll in the dark. 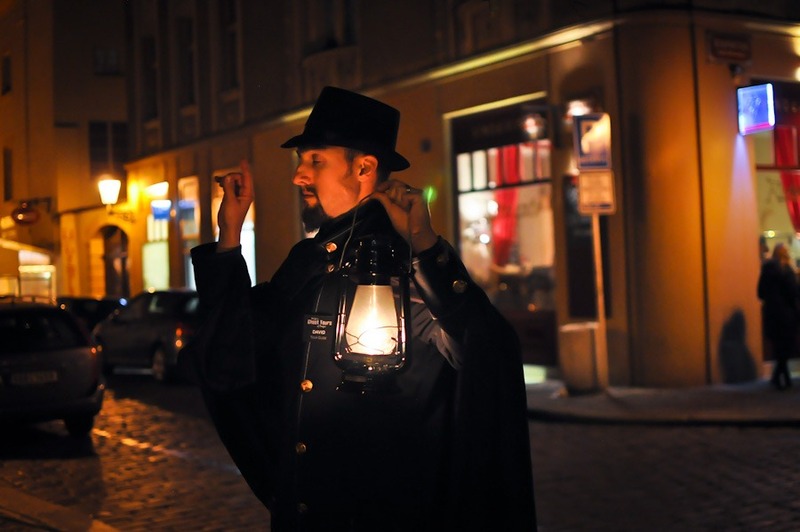 Prague is said to be one of the most supernatural cities in Europe with its long standing history of myths and legends, and mystery and murder. I knew I was in for an interesting night. 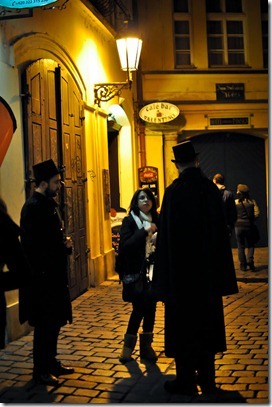 On our walk, we wandered the narrow cobblestone streets of Old Town Square. Prague is a beautiful city by day. 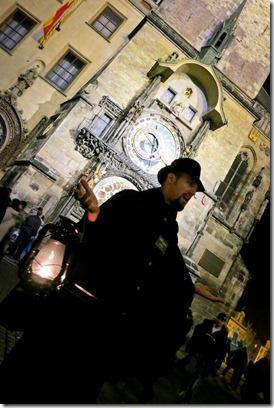 But something about Prague at night and a ghost tour creepy tales that makes it extremely eerie and medieval to walk around. You really feel transported to a different time and place. I won’t divulge into the tales, it’ll spoil the fun. Plus, you sort of have to be there to get the full effect of it all. But I will say, stories of alchemy and magic, the mysteries of the Knights Templar, trapped souls and dead people.. sounds fun, right? 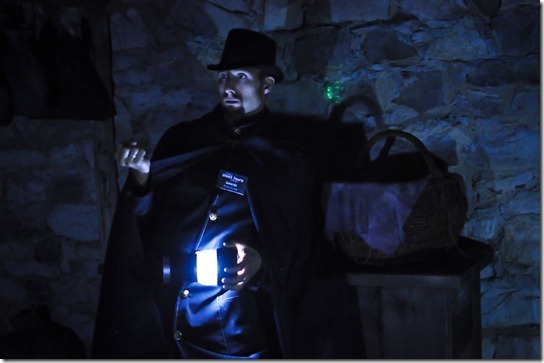 The real spook began in the underground walk (My favorite part, even though I was scared to pieces). Because McGee’s is the first tour of it’s kind, they are the only company allowed to take guests underneath the famous astronomical clock, deep into a darker side of Prague. Located just beneath the grounds of Old Town Square is this UNESCO heritage site few have even heard of, I’m sure. But it’s dark and gruesome history has certainly left its mark. All legends aside now, David tells us stories of others account during their visit to the underground. 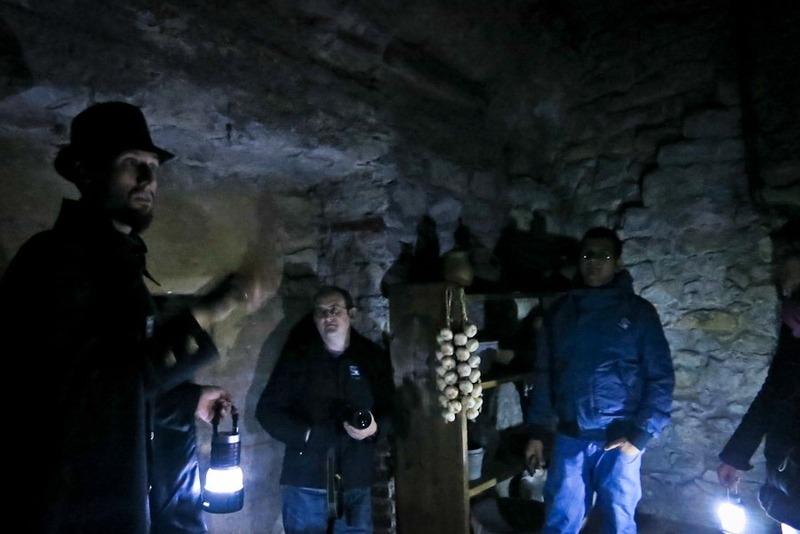 Some tour guides no longer do this part of the tour because of their paranormal encounters, he said. Others heard voices, seen “things”. A teenage girl resides in one of the room while a black streak or orb has been accounted for on some occasions. 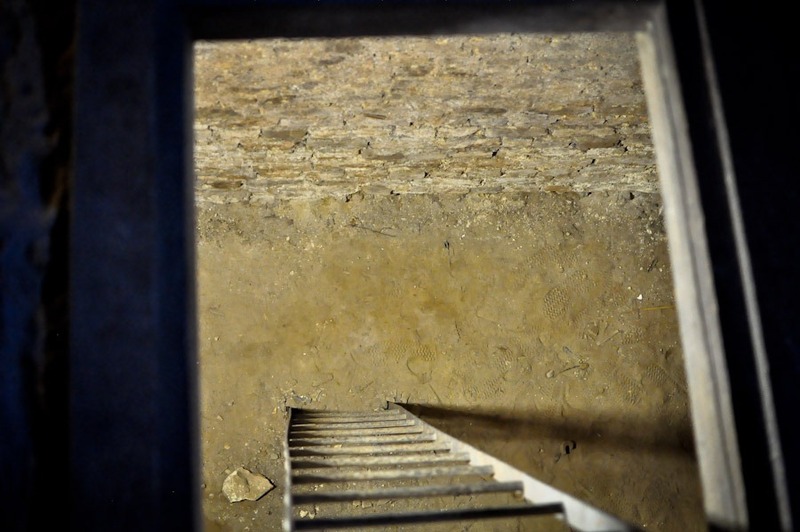 Probably the most gruesome of stories is the visit to the catacombs where condemned prisoners were held and tortured. It’s no more than just a hole in the ground. The conditions were awful as we were told prisoners were left to suffer in the chambers before dying. 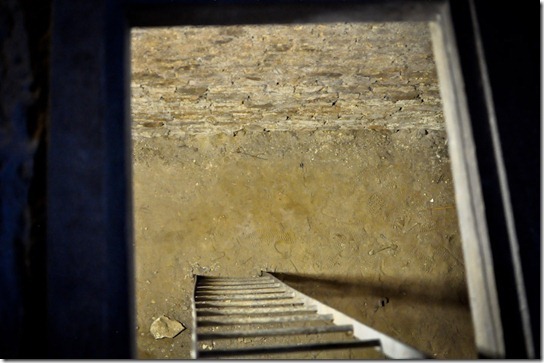 I felt chills during the entire underground walk, looking over my shoulders every so often. So much so, I made sure I stayed towards the front of the line. I didn’t want to be the last one trailing behind in the group. Sadly, I didn’t get to see any orbs or supernatural stuff on the walk. 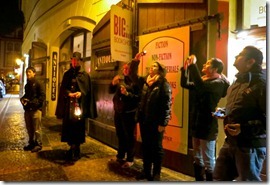 But this was still one of the most unique and interesting tours we’ve done. 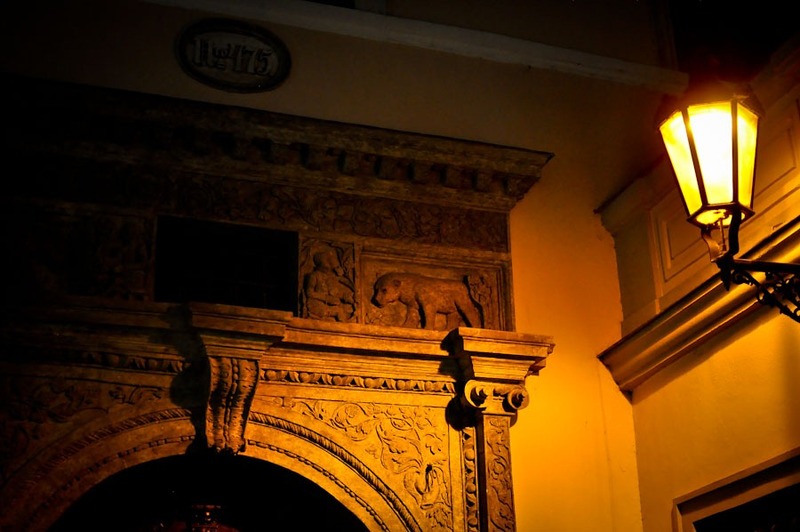 What are some of your favorite ghost stories from abroad? 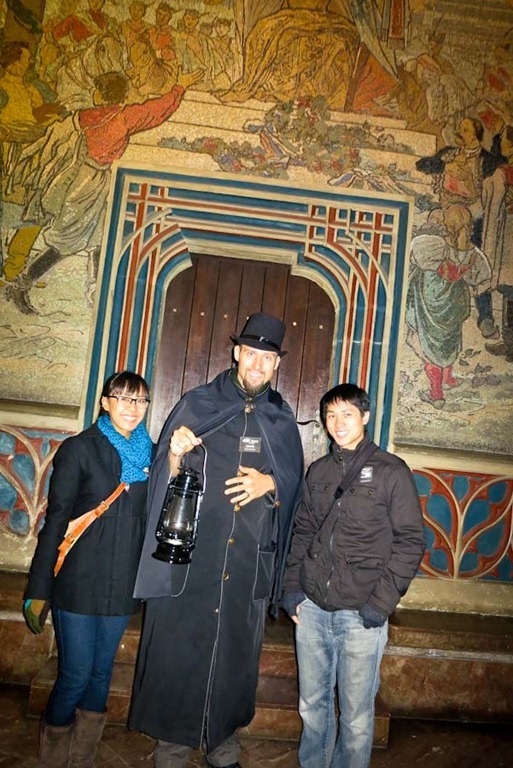 If you’re heading to the Czech Republic or Prague specifically, consider booking your activities, excursions, concerts and more with PRAGUE TRIPS & TICKETS. It’s your one stop shop for getting the best of Prague. 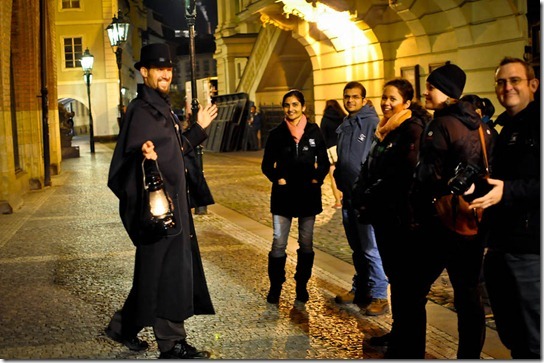 Disclaimer: We received a complimentary tour with McGee’s Ghost Tours of Prague. As always, my thoughts, my words. Still my scaredy cat voice behind the blog. A Proposal in Prague. 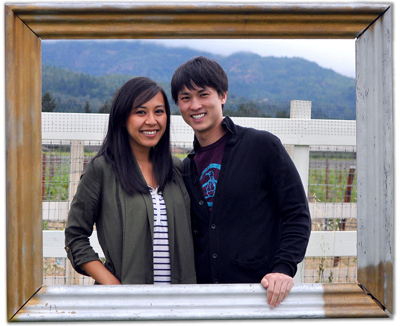 Yes, WE'RE ENGAGED! 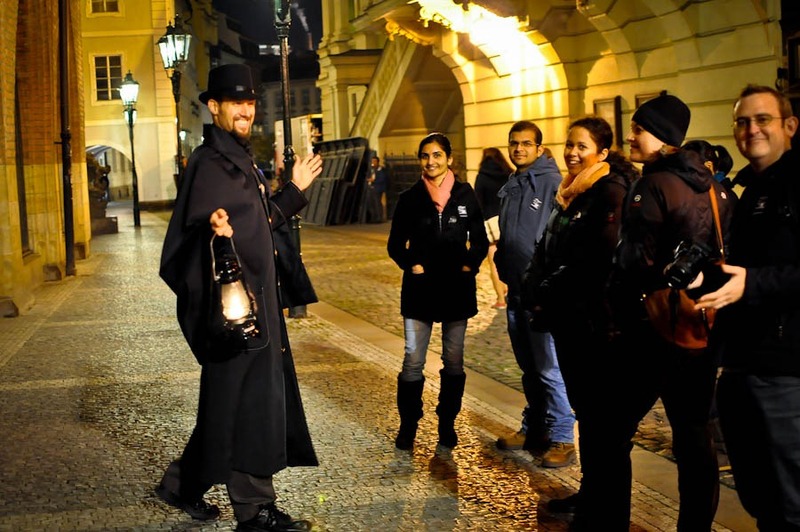 Ghost tours are so much fun, and Prague is the perfect place to do one. I did one in Northern Wisconsin and I’m pretty sure I got an orb in one of my pics. No way?! Aww I’m so jealous. You’ll have to send us a picture. I would have felt chills too! What a cool experience!!! Thanks Andi! It was pretty cool. 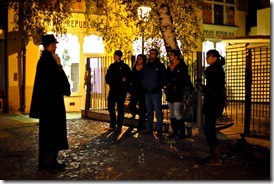 Those types of tours are great fun and a great way to see parts of town you might not otherwise. I try to note what’s along the sidelines of the tour as it goes so I can return another day to check those places out. They really do show you a side of a city you wouldn’t otherwise see.. really enjoyed this one. We saw these guys walking around while we were there, but I wasn’t convinced that the tour was worth the money..Maybe we’ll try it next time! I am never sure of these late night trips. Seriously 😉 But this one doesn’t look 100% cheesy and you guys did have fun!! And fab photos!! 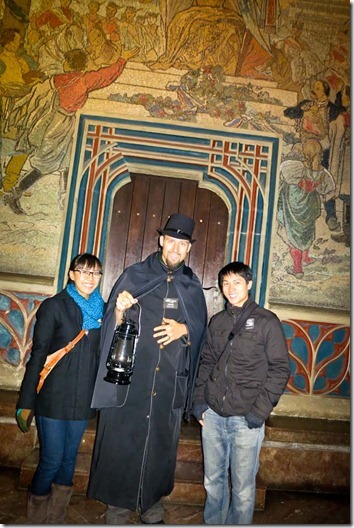 Love the lantern, of course! i think we’re the same person? 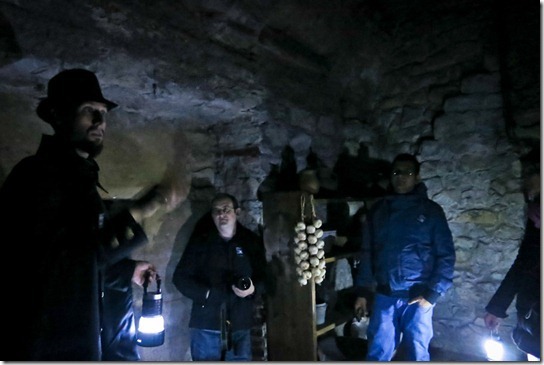 i’m scared of my own shadow but was DYING to see the catacombs in paris. completely horrified but loved it. 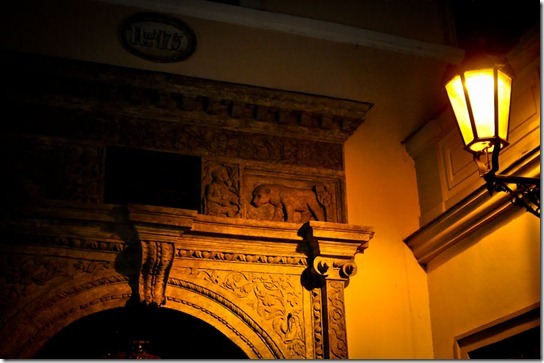 this is on the list for prague! Oh I’ve always wanted to do one of those.. the witch trials one. So not good, aye? Boo.. 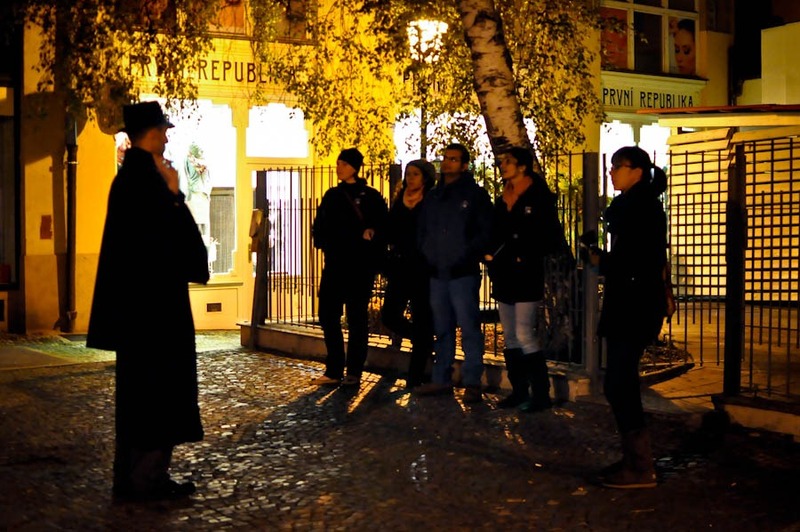 I did not do any of these tours in Prague, but I got the sense it had a creepy history. There was this one place on one of the side streets where there was a statue of a hanging man way up on the buildings. I asked my waiter what that was about, but he could not explain. Did you see this statue by any chance? Statue of a hanging man? Oh that sounds creepy.. no we didn’t see that or I definitely would have taken a picture.